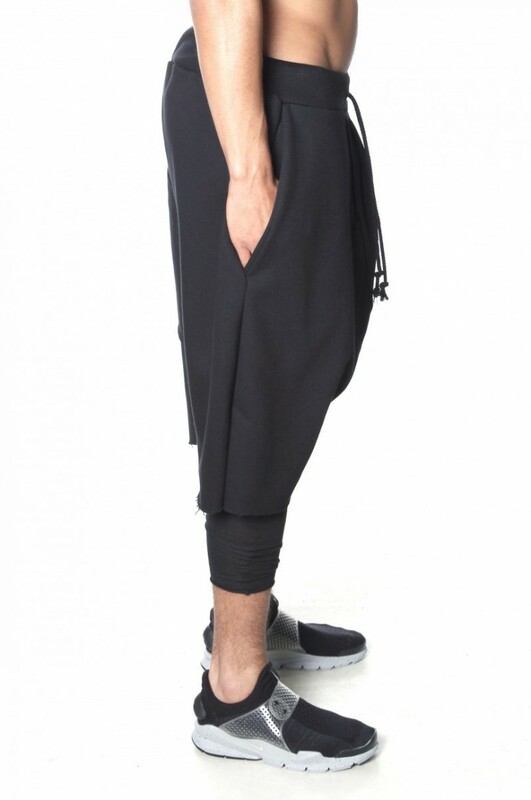 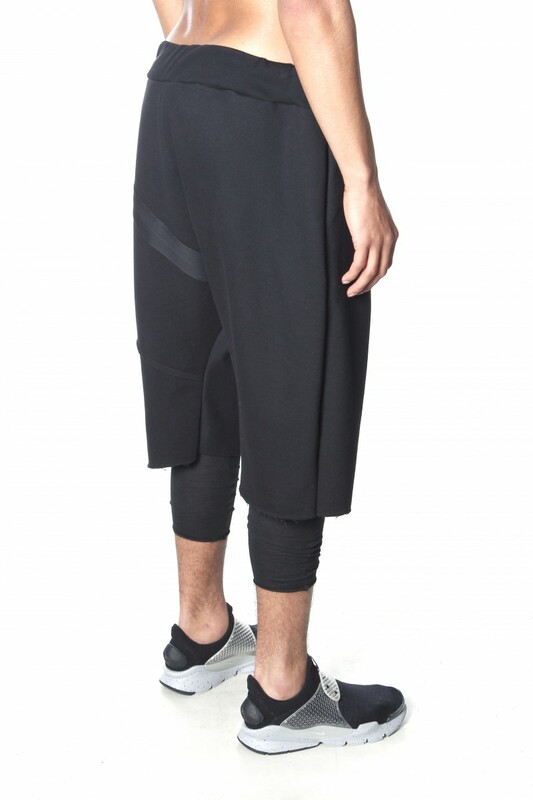 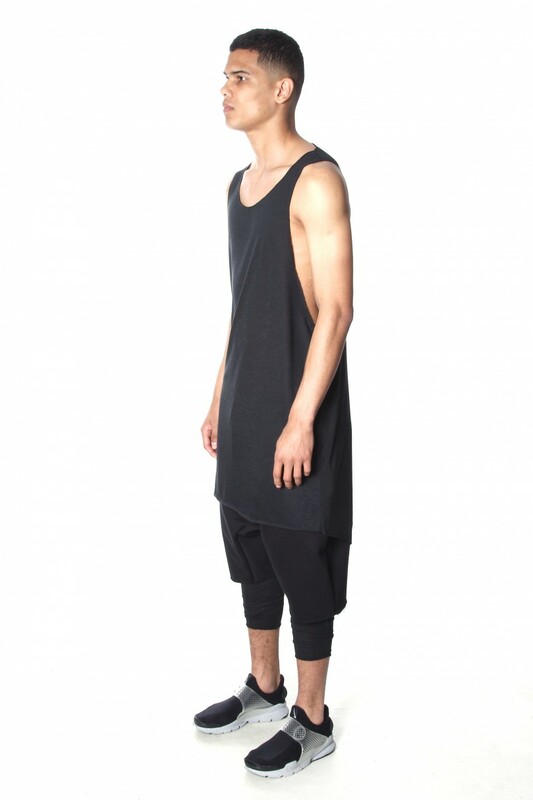 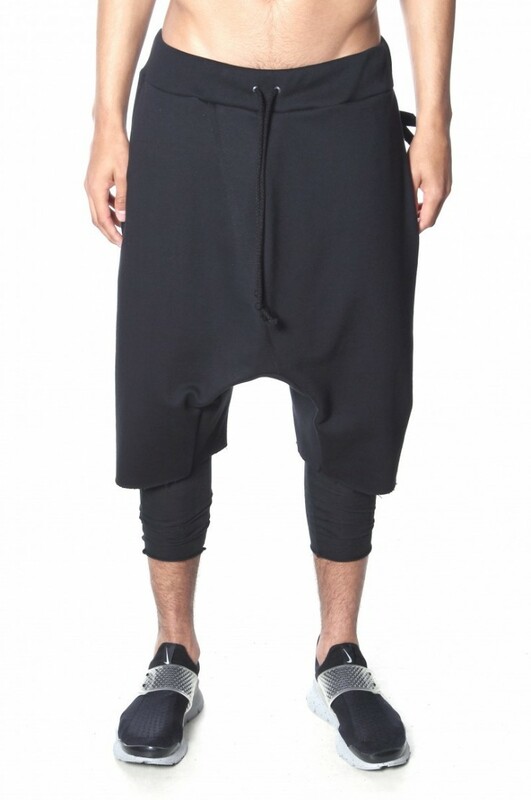 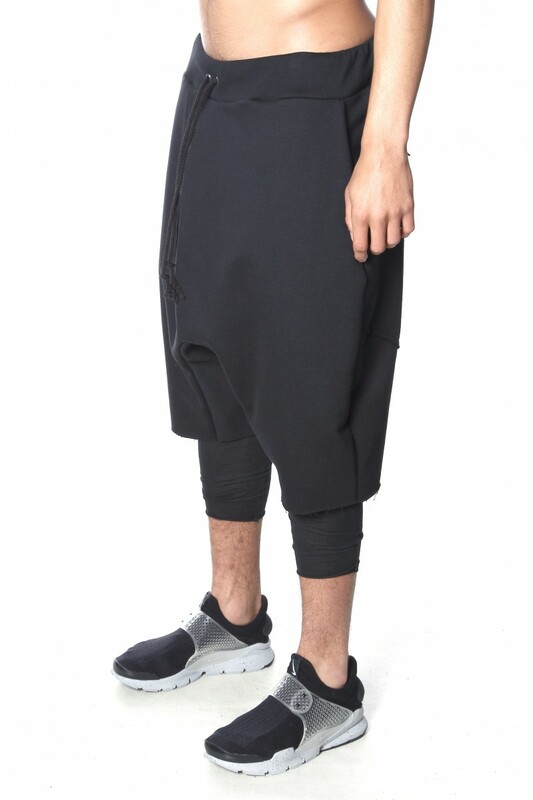 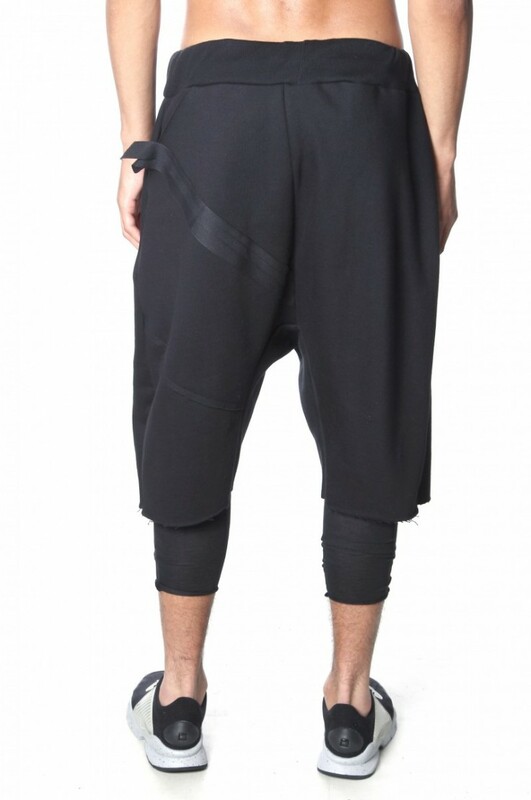 Black low crotch shorts made from high quality 100% loopback cotton jersey. 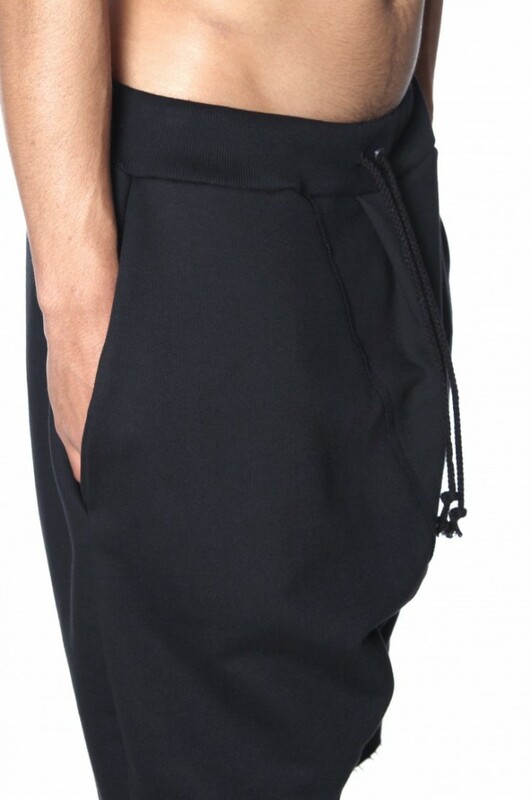 They have 2 front pockets, a deep back pocket with a black cotton appliqué detailing across it. 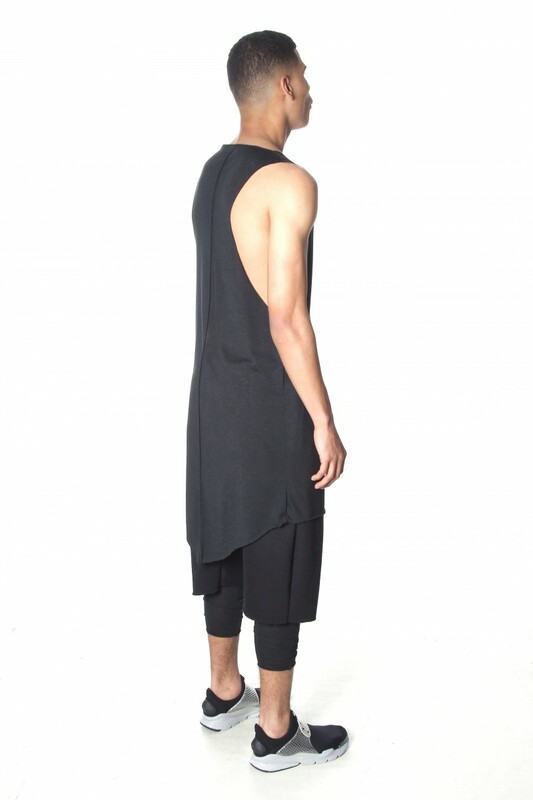 Finished with raw edges around the hem and an adjustable elasticated waist with drawcord. Model is 5.8ft and wearing a size 1.